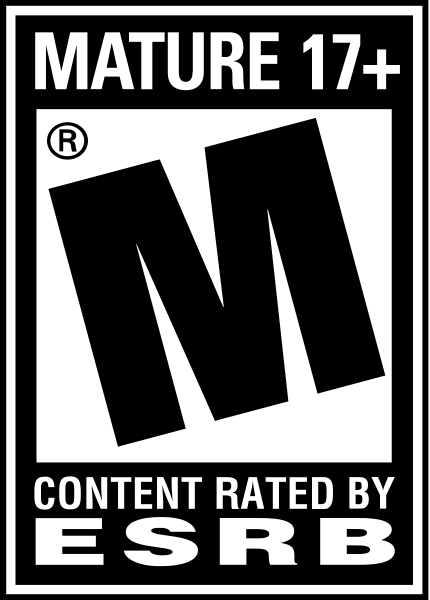 "So Bad, It's Good" finds a niche in video games. So says Mr. Stewart. The film industry has a long history of movies that are so bad, they're great. Evil Dead, Plan 9 From Outer Space, and of course the epic Jesus Christ: Vampire Hunter come to mind for piling on the crap so high it turns into a black hole of crap and becomes good. Ignition Entertainment's Deadly Premonition may be the first game to conquer this turd-mountain. 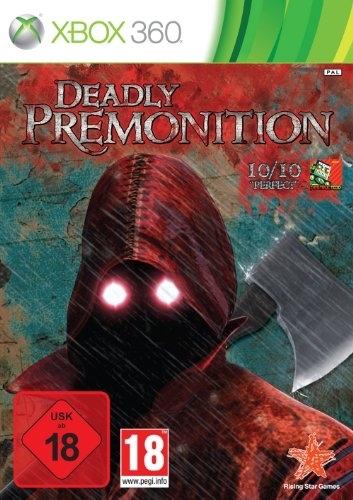 Deadly Premonition begins with the murder of a young woman; sliced open breastbone to navel and nailed to a tree in a small US town close to the Canadian border called Greenvale. You step into the shoes of FBI Agent Francis York Morgan (call him York, everyone does) whose car careens off the road on his way to Greenvale, and who then battles some zombies to get into the town. Once you arrive in town, things finally start to get weird. Deadly Premonition is an obvious send-up of the David Lynch series Twin Peaks; complete with no shortage of mentally unstable townsfolk, a lumbermill, and a crazed killer. Agent York talks to his imaginary friend Zach, sees portents in his morning coffee, and often finds more pleasure in a deputy's cooking than finding new clues. Greenvale is a big sandbox filled with quirky characters and amusing dialog. Unfortunately, the gameplay manages to find a way in. As you're investigating the case, you'll be required to sit through endless conversations and unnecessarily long drives. On one such drive from the town's diner to Mr. Stewart's house, I timed the trek and it was over 5 minutes of real-life time. This was just driving. There was no minigame, no important facts or clues uncovered, just sitting behind the wheel of a police car swerving through traffic to get from point A to point B as fast as I could. In fact, I actually fell asleep driving once and nearly did during several interrogations. The pacing of Deadly Premonition is plodding at the best of times. The visuals of Deadly Premonition are sub-par for PS2 or Xbox, let alone a current-gen system. The attempt at 5.1 sound is atrocious with music often drowning out dialog or voices switching channels inexplicably. The soundtrack is suffering from dissociative game syndrome. Truly scary scenes are generally set well with creepy music, but other parts of the game sound like the music came from Persona 3 orKatamari Damacy. The soundtrack is also quite limited in tracks, so you'll quickly realize you've heard the same song over and over and over again. 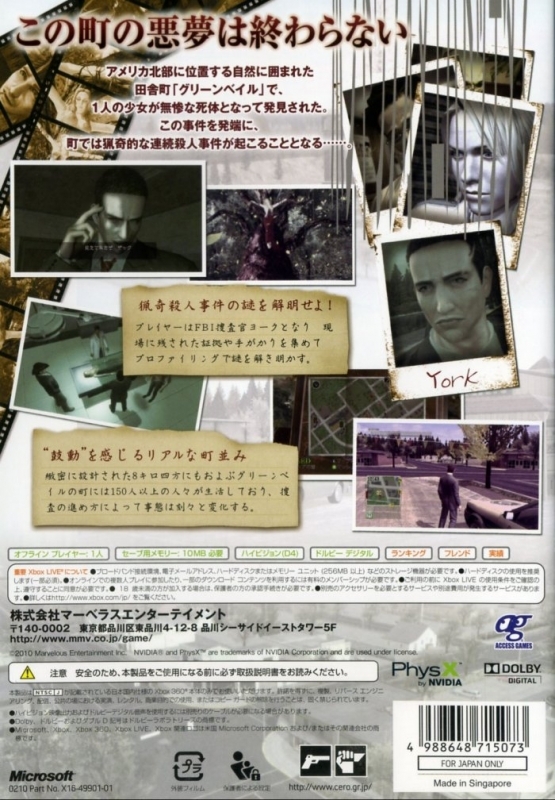 While the investigation could have made for a great game with incredible character interaction, Deadly Premonition decided to throw in someResident Evil-style combat for what seems to be no reason other than to get between you and the story. Combat is a clunky version of Resident Evil in terms of movement and 3rd person shooting. You have a small assortment of melee weapons that wear out with use, a handgun with unlimited ammo and low power, and some better guns you find or purchase. Enemies generally consist of undead rednecks that either saunter toward you or bend over backwards and move just as slowly. As the game progresses, some become armed and a few alternate enemies like the wall runner get thrown at you. Until the end of the game, your run-ins with the boss consist of quicktime events in which you dodge his attacks or hide. Why I couldn't just pull my shotgun out in episode two was an endless source of frustration. 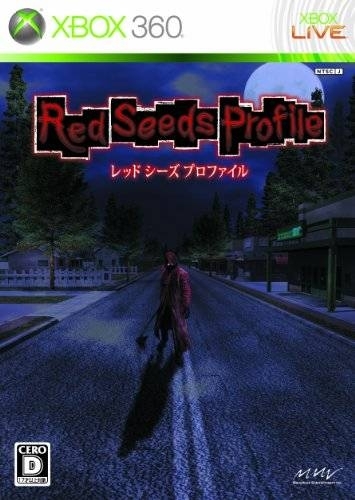 In case the tedious and clumsy combat doesn't make you want to run out and buy Deadly Premonition, the town of Greenvale is a sprawling rural community with loads of side quests, collection, and even a few minigames that give the game a sandbox feel. There are a few driving minigames that consist of racing (in cars that drive like boats and top out at 60mph... while boosting... going downhill) from checkpoint to checkpoint. Most of the side quests are simple fetch quests, and fishing gets repetitive very quickly. Fishing - however - is the key to rare items. It consists of finding a dock, picking bait, then casting your line. If you get a bite, you hit the A button when it tells you (very easy) and a single-line slot starts rolling slowly. Hitting A will stop the reel and determine what you've caught. Ammo, weapons, items, and of course fish can come out of Greenvale's waters. Nothing like taking time out of a busy murder investigation to go fishing in your finest suit. Despite all these shortcomings, Deadly Premonition finds its way to a strange level of entertainment in spite of itself. Some of the dialog - particularly Agent York's lines - range from outlandish to laugh-out-loud funny. The pause menu looks like it belongs more in a Salvador Dali painting rather than a video game, and the actual story draws you in when you can get to it between driving and unloading ammo into zombies. 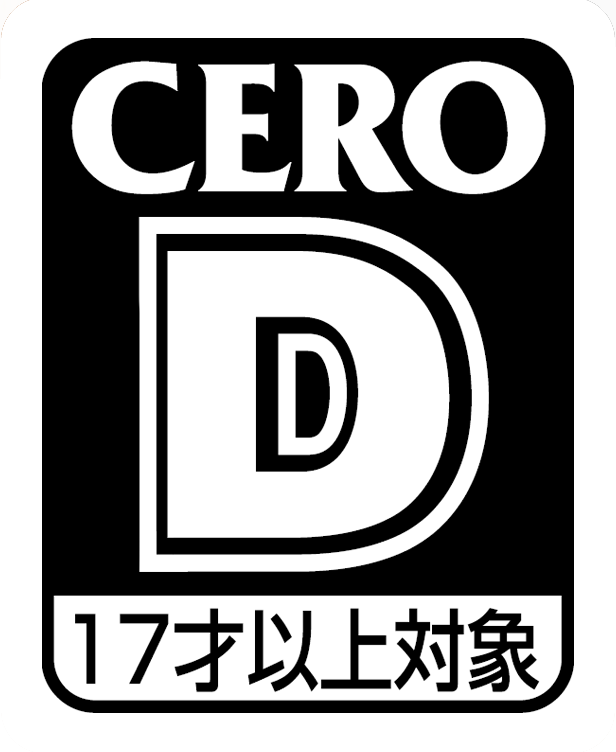 Best of all, it become obvious that Ignition Entertainment realized what a stinker they had on their hands when they took on localization. How better to make the game enjoyable than to crank up the more hokey and ridiculous parts to 11. Deadly Premonition never takes itself too seriously and embraces its strangest qualities. Unfortunately, these things won't save Deadly Premonition for the vast majority of gamers who just won't get it. I have Twin Peaks on DVD sitting on my shelf, so I can see the parallels between Agent York and Agent Dale Cooper better than most, but I still fell asleep playing it. So what makes Deadly Premonition worth your time and hard-earned gaming cash? 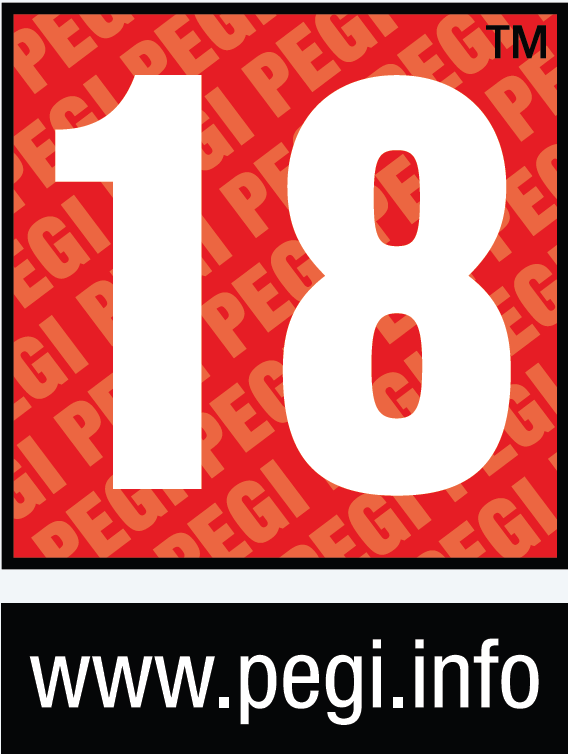 The $19.99 price tag for a game that takes a minimum of 20 hours to complete might do it. Then again, I was able to pick out a dozen used games at the local Gamestop that I'd rather play for under $20. Rent it. Maybe. Better yet, go find yourself a Fatal Frame game, Clocktower game, or the almighty Eternal Darkness: Sanity's Requiem and really get your survival horror on.